It’s summer in the land down under which means most Australians will not be too far from water. Be it beaches, rivers, lakes, dams, public swimming pools or the 1.2 million household swimming pools (the world’s highest per capita rate of pool ownership). If it’s chlorinated pools that’s keep you cool and entertained this summer or if you and the kids are regular attendees at swim training then you should we be aware that there are harmful chemical compounds in your pool water. Many of these compound have been linked to serious health problems. It takes a lot of chemicals to make conventional pool water safe for swimming. Untreated water can accumulate harmful bacteria such as Cryptosporidium parvum and Giardia lamblia, so water treatment is necessary. Conventional pools use disinfection chemicals such as chlorine to kill these pathogens, other disinfectants include bromine, ozone, and ultraviolet radiation.They all kill microbes by reacting with and disrupting the function of biomolecules the organisms need for survival. The various disinfectants can be used alone or in combination. Chlorine was used during World War I as a chemical weapon, today its uses include disinfecting everything from tap water to industrial waste and sewage. In swimming pools, chlorine kills potentially hazardous bacteria, but it also adversely affects some swimmers. At low levels, chlorine inhalation causes irritation to the skin and eyes along with a sore throat or a cough. At higher levels, inhalation causes symptoms of asthma such as wheezing and tightness of the chest. Over-chlorinating pools turns the water acidic, which can wear away the tooth enamel of frequent swimmers, a condition called “swimmer’s erosion.” Joseph G. Hattersley, writing in the Journal of Orthomolecular Medicine in 2000, cites numerous studies linking exposure to high levels of chlorine to a higher risk of diseases such as melanoma, bladder and rectal cancer and asthma. The term “swimmer’s asthma” is becoming common as more cases of asthma are linked to competitive swimming in indoor pools. Reducing the disease risks entails reducing the amount of chlorine in swimming pools or switching to an alternative water-treatment method. Many disinfection chemicals react with organic material in the water—dirt, sweat, urine, and even skin moisturisers which are added to the pool water by swimmers—to form disinfection by-products (DBPs). Chloramines are a category of DBP and include trichloramines, which are especially hazardous to a person’s health. Using UV radiation as a disinfectant breaks nitrogen-chlorine bonds in some DBPs, producing radicals that can help form even nastier by-products such as cyanogen chloride, a toxic agent that can attack respiratory organs. Human skin inevitably absorbs the materials with which it comes into contact. 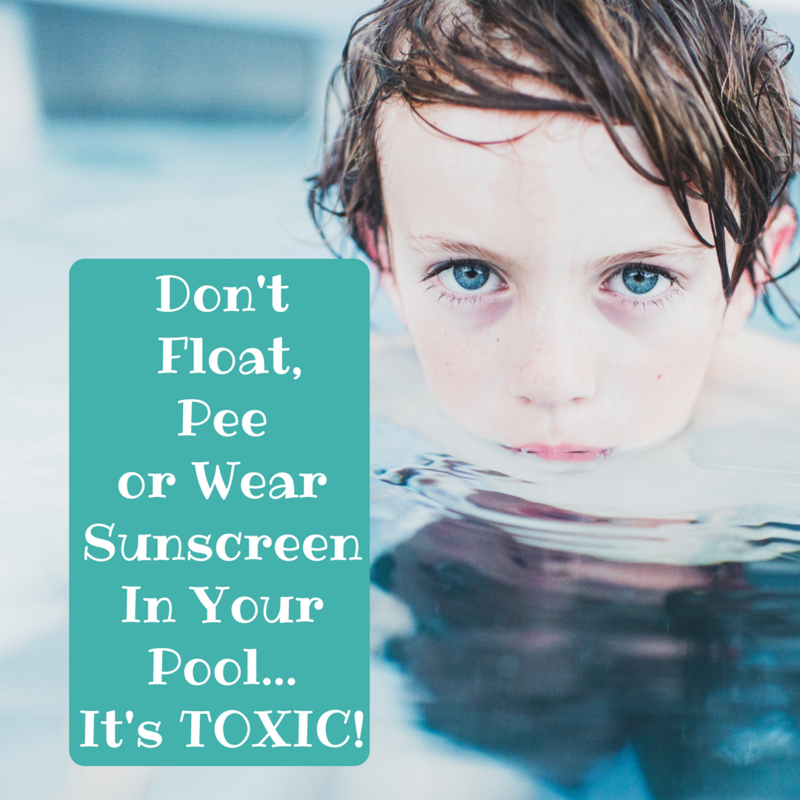 While the skin will let in small amounts of pool water, it will also pull chemicals out of the water and deposit them into the bloodstream and tissues.Anybody who goes to a pool is going to be exposed to these DBPs—in the water in the pool or in the air around it. According to studies of drinking water, many of these chemicals can be considered toxic at certain levels. In swimming pools, though, it’s not clear how much exposure to the compounds is enough to cause health effects. What is clear is that elite swimmers and people who work in and around pools are the most vulnerable. Breathing in the air directly over pool water is also hazardous to human health. Extending about a foot above the pool water is a zone filled with trichloramines. 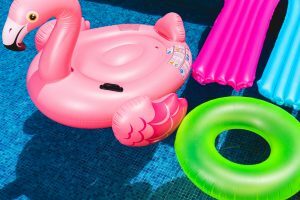 So, a person floating on an air mattress on top of the pool water is at risk of being exposed to harmful DBPs. Breathing in trichloramines can irritate the eyes, nose, throat and lungs. But the biggest contributor to DBPs in pools is urine. Researchers estimate that swimming pools contain an average of 30 to 80 mL of urine for each person that’s jumped in. Some of that is released accidentally or without the person realising. Professional swimmers like the ones who will dive into the pool at the olympics can log upward of 10,000 meters per day during training. That’s a lot of time spent exposed to the chemicals in and around swimming pools. But for elite swimmers, peeing in the pool is an accepted part of the culture. Eldridge, the Masters swimmer, confirms that peeing in pools is commonplace in elite competitive swimming. It’s a frequent topic of conversation and joking among swimmers. Urine contains a lot of urea, a nitrogen-laden molecule that reacts with chlorine in pool water to form a DBP called trichloramine. This resultant chemical—not the chlorine itself—helps give indoor pools their distinctive odor and has been associated with respiratory symptoms. Chlorine in swimming pools transforms sunscreen into cancer-causing toxic chemical right on your skin!! If you think you’re doing something good by slathering sunscreen on yourself and your kids before hitting the pool, you might want to think again. A new study places sunscreen firmly on the list of products that can do more harm than good as Russian scientists discover the destructive effects of chlorine in swimming pools on sunscreen. Indoor pools without proper ventilation place swimmers at a higher risk of chlorine exposure and associated compounds such as chloroform. Children – are more susceptible to the effects of chlorine because their bodies absorb it more readily than adults. More chlorine ends up in the blood of children than older swimmers. Children who frequently visit indoor pools have a greater likelihood of developing asthma. Scientists in a 2006 study found an association between the increase in asthma in industrialized countries and increased exposure to the chlorine in indoor pools, as outlined in the journal Occupational & Environmental Medicine. Improved ventilation may not solve the problem, as chlorine is absorbed both through the skin and the airways. Competitive Swimmer– An increased level of activity accelerates the body’s absorption of chlorine. Professional swimmers who spend a lot of time in indoor pools may breathe in dangerous amounts of chlorine through their high levels of exertion. Elite athletes often swim multiple times a day, which does not give the body time to purge chlorine from the system before more is absorbed. This could lead to toxic buildup in the body. 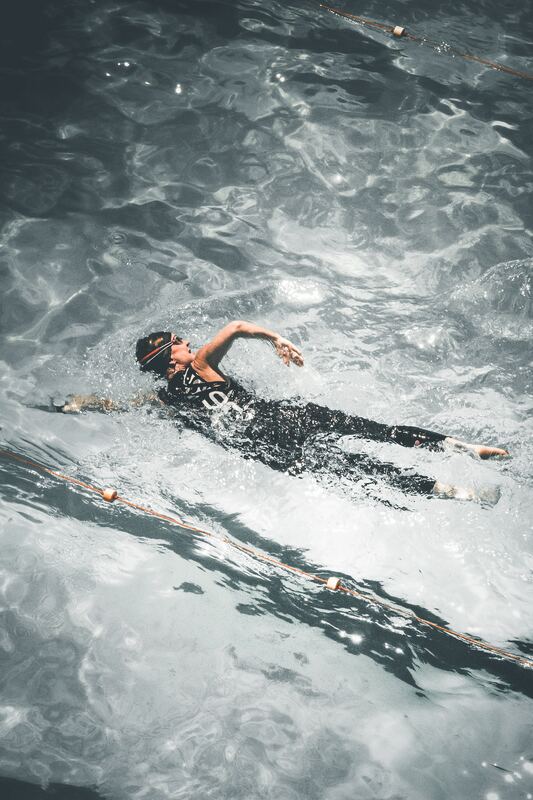 Competitive swimmers are more likely to suffer from asthma and other respiratory diseases. 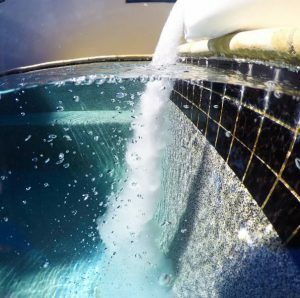 If you are not in a position to transition your pool/spa to a non toxic natural pool options that requiring absolutely no chlorine or other toxic chemicals then here are some options. Clean the pool frequently: Keep any visible organic materials such as leaves and twigs out of the pool.